Scrapbook Super Station is happy to welcome Jenn Shurkus, Creative Chick extraordinaire, to our store for Lawn Fawn classes! Join us and learn from Jenn as she shows you all the latest and greatest items from Lawn Fawn. As a creative instructor, she loves to show people new and clever ideas to use when designing their cards and projects. She has a flair for the “artsy-fartsy” without going over the top and she designs her projects in a way that inspires, but doesn’t intimidate. She is always eager to share her creative passions with others and encourage their artistic growth. In this class, you will create 5 handmade greetings perfect for all occasions! We will be making two interactive cards including the new Magic Picture Changer! We will be using the latest products from Lawn Fawn including stamps, dies, papers, and inks. Create with Copic (artist-grade) markers, glitters, and other fun supplies. This class is perfect for all levels, even if you have never stamped before. 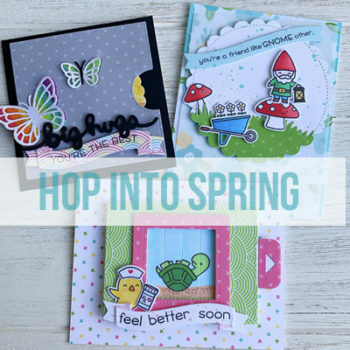 Jenn will share fun tips and tricks throughout the class to help you in your cardmaking!